Yazd Iran : The old city of Yazd, the first adobe city and second historical one after Venice has many tourist attractions which are the world’s bests. Historians believe this city dates back to Pre-Islamic period and consider it as one of the safest cities of its time so that Marco Polo describes it as the city in Silk Road that merchants like the most because of its safety and security. The old city of Yazd with 800 Hectare extent is the largest and best preserved in Iran and registered as a national heritage site. The oldest adobe building of the world is Narin castle in Meybod the ancient town of Yazd Province. The longest aqueduct in the world with more than 71 kilometers length and about 3000 years old is located in Yazd Iran. 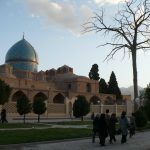 The oldest living creature of the world which is the cypress tree of Abarkuh still continue to live its green life in Abarkuh of Yazd province. Dowlat Abad garden of Yazd is ornamented with the tallest wind-catcher in the world with 33 meters height and 270 years old.The most significant feature of this wind-catcher is its octagonal shape which allows the air in every direction. The grand mosque of Yazd, a great masterpiece in Islamic architecture, has the world’s tallest minarets and as history suggests is build on the remains of a fire temple from Sassanian. The heights of the minarets reach to 52 meters and becomes narrower as it goes higher and has beautiful intricate tile-workings. Maybe one of the most interesting attraction of Yazd for tourists is the Zoroastrians’ towers of silent, the place where they used to put their deceased ones but is now abandoned. Zein-o-din caravansary, the only circle one in Iran is located in Mehriz near Yazd and now is converted into a tourist accommodation where you can enjoy having a night in a peace and quiet of desert. Yazd as one of the best touristic cities of Iran has it all to make your trip to Iran enjoyable. so remember to include it in your Iran tour. Iran Destination, Iran Tour Operator,is ready to show you all the beauties in Iran. Just ask this Iran travel agency to arrange anything you need for your travel to Iran. If you like to get more about different places in Yazd, click here. 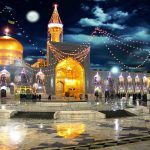 Please also take a look at our Iran Tour Packages and choose which one you wanna use.